A little late as I have been attending a balloon event for the past couple of days. 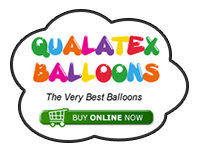 I will be posting a balloon a day from BalloonTube right up till I think boxing day. If anyone wanted to join in then you are more than welcome. Here we go with day twenty seven, the swan. Playing catch up today so will post two tutorials so we are back on track. Here we go with day twenty eight, poppy troll. This is my most viewed tutorial by some way. We are over half way now. Here we go with day twenty nine, the aeroplane. Here we go with day thirty, the sea turtle. The smaller one is explained on the tutorial. Here we go with day thirty one, the camel. 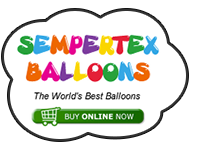 The smaller one balloon camel is explained on the tutorial. Here we go with day thirty two, the one balloon cat/tiger. it I thought it might as well stay in the picture to brighten it up a little. Its Sunday and yes the excitement builds as its BalloonTube Sunday. Here we go with day thirty three, the two balloon Pikachu. This is a better face than I made in the tutorial a few years back now. Here we go with day thirty four, the ride in horse. Here we go with day thirty five, the crocodile. to make the feet. This is not explained in the original instructions. Here we go with day thirty six, the Mickey wand. I also made Minnie yesterday for the first time . pinch twist pushed into the fold twist. This holds the ears securely. Here we go with day thirty seven, the elephant. Here we go with day thirty eight, the koala. Here we go with day thirty nine, the two balloon shield. a better shape. I think I prefer the look of the right shield. Here we go with day forty, the 350 teddy bear.